YouTube is considered as one of the top websites to watch videos. Everyday thousands of new videos are uploaded to Youtube and the users keep on increasing. Many users want to watch those videos offline and share their favorite videos with their peers. Downloading YouTube videos is always a hassle, and for Apple device users it is even more challenging. The whole process involves the downloading of the video and then converting it to iTunes friendly format. Fear no more, this article will make doing all of this very easy and convenient for you. iMusic is the best app for this job. iMusic has made quite a name for itself in the app world. This app can be downloading on your Mac or PC. 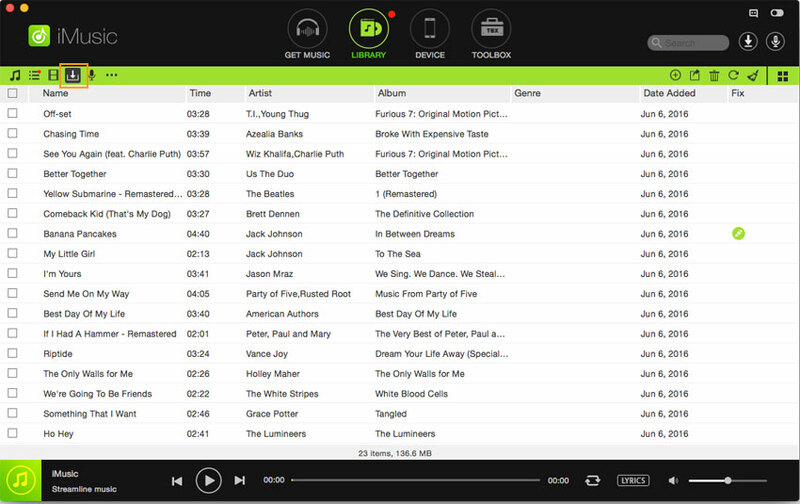 With its modern and sleek design, iMusic makes it easier for you to manage your music library. 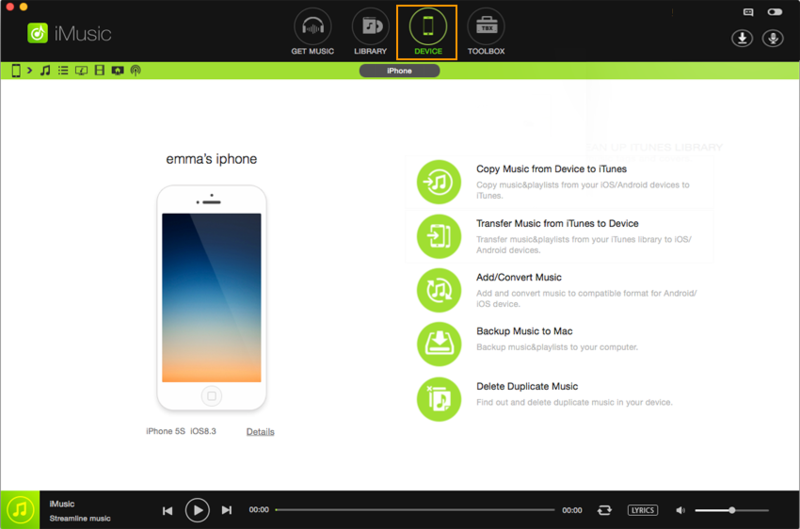 iMusic Studio has developed it, and with its small 1.0 MB size, the app has a lot to offer. Music library: This app has a huge music library which consists of more than 2000 tracks. All details such as artist name, release year, genre and album name are provided with the tracks. 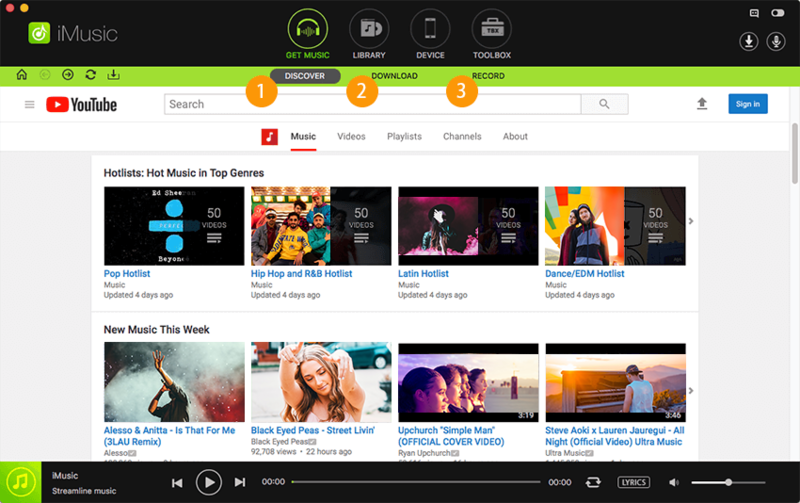 Download: iMusic can be used to download songs, music videos and other kinds of videos from websites such as Spotify, Youtube, Pandora, Vevo, and Soundcloud. 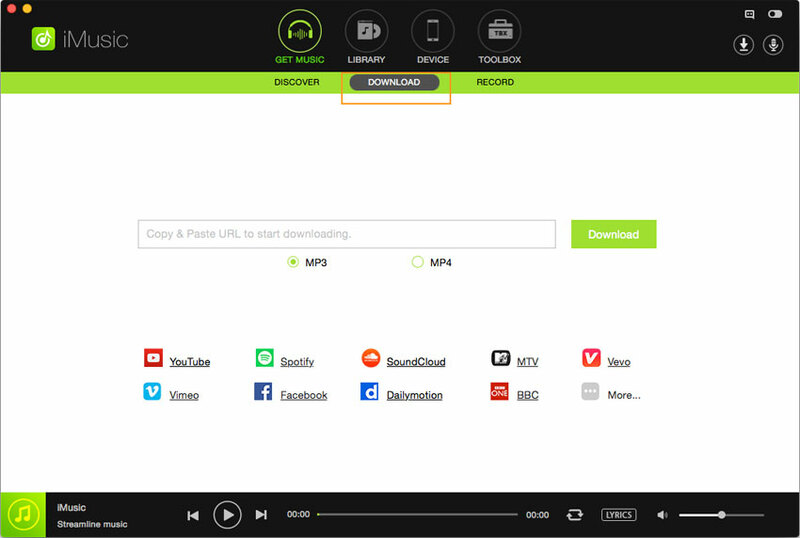 Although there is a URL box provided in which you can paste the link of the item you want to download, but the app has a built-in browser, which allows you to download songs and videos directly. All you need to do is click download. Record: The app also provides a "Record" feature. You can use it to record songs and FM transmissions. The record function can be used to record any song that you are playing online at that moment. The ID3 tags will be provided additionally such as year, song and artist name, etc. Transfer: Transferring songs from your computer to your Android device or your Apple device is always an issue. But this app takes of that for you. The app can be used to transfer tracks, TV shows, podcasts, and playlists from your Mac or PC to Android or Apple devices. No other compatibility software is required. Toolkit: The app is also equipped with a very handy kit. It makes handling the music library even easier. The toolkit helps in carrying out functions such as adding titles to tracks, tagging, recovering files from the library, backing up iTunes, library, repairing the library, transferring the songs to a USB so that it can be played in your car and burning your required songs onto a CD. 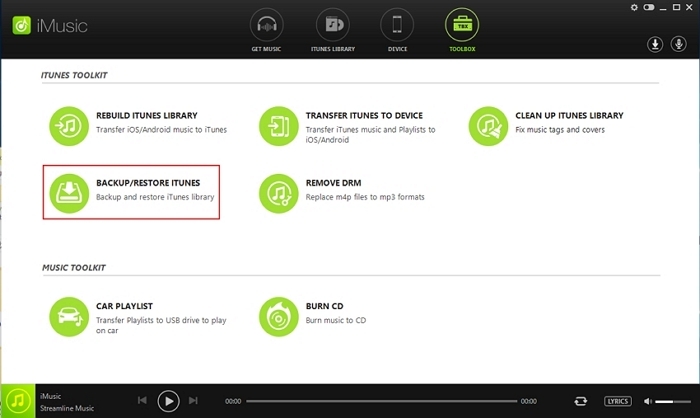 Repairing iTunes library: The application assists you in cleaning up your iTunes library. Sometimes iTunes causes issues, and the tracks get lost. The app cleans or removes broken files, adds song covers, deletes duplicated files and repairs wrong song information. iTunes backup: Whenever we transfer songs from iTunes to other devices or vice versa, there is always a danger of losing music files. This is followed by a long process of synchronizing your computer with your iPod, iPad or iPhone. Sometimes you even add music from external sources. This whole process if very time consuming. 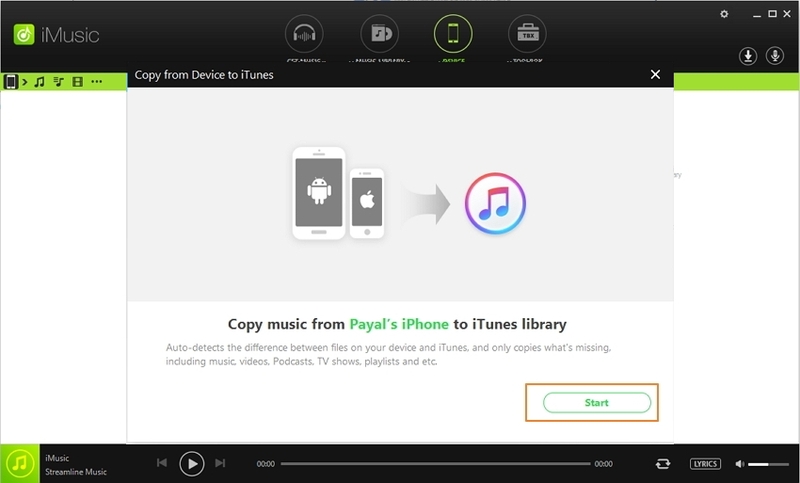 This app facilitates the transfer of music files from iTunes to other devices. All you have to do is connect the device to your computer and voila. Transferring iTunes to your Android: Most of us have no idea that you can transfer music files from your iTunes to your Android device. This app makes the whole process very easy and convenient. You can synchronize your Android device with the music. In addition to this feature, you can also copy your favorite music files from your Android device to your iTunes library. Conversion: We all go through the daily hassle of having music files and videos which are not compatible with our devices and so cannot be played. Well, this app solves that problem. iMusic enables the conversion of videos and tracks to any of your required video or audio formats. Follow the steps given below to download Youtube videos and them to your iTunes using your Mac. Step 1: First, you have to download the application on your Mac. After doing so click the get music icon, and this will give way to a to the word download. Hit the download button, and a window wil l open which will showcase a URL box. You can copy the link of your favorite video and then paste it into the URL box. This way the app will download the video. Step 2: Another option is that under the URL box will be icons of popular websites such as Youtube, Spotify, Vevo, and Soundcloud. Click the YouTube icon. By doing this, you will be directed to YouTube's official homepage. Search for the video you require and then open it. Step 3: Once the video has been opened, click the small downloading icon present on the top left corner of the application. The app will then ask you for the format you want to convert your downloaded file into. Select the needed format and hit download. Step 4: The videos will automatically be added to your iTunes library. 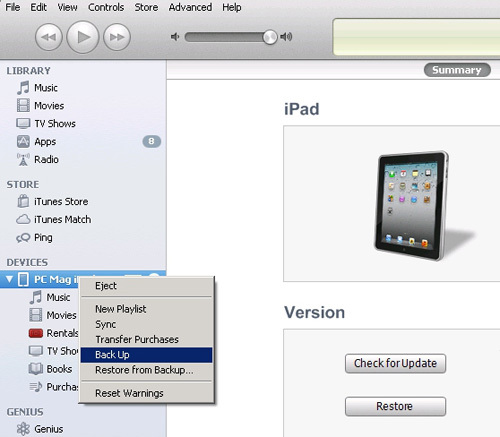 If you want to transfer your iTunes library to other devices, then. The next step will be to connect your iPod, iPad or iPhone to your Mac. If the device successfully connected it will show in the device window with the device’s basic information. Click the transfer iTunes to device button and select the files you want to transfer. This will start the process of transferring videos.